Allan Pipe Fab Inc. specializes in the design and manufacturing of wireless communication towers and structural steel components within Canada and the USA. Types of towers range from self-supporting, guyed towers, monopoles, roof top and folding towers. Whether it is knock-down or all weld, APFI can provide a design that suits your needs. All towers are designed to CSA S37 & ANSI/TIA/EIA 222 (latest editions) and all welding is done to CWB 47.1 Division 2 standards. Sandblasting using sand, glass beads or other types of medium to remove rust, previous finishes or to prepare an item for painting, APFI can provide this service quickly with our in-house sandblasting booth. Need your large items spray painted, no problem! APFI can handle items up to 50 feet in length. Our spray system is capable of applying both waterborne and epoxy coatings. 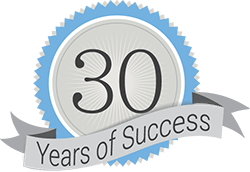 Since 1984, Allan Pipe Fab Inc. (APFI) has strived to provide the best quality, service and delivery to our customers in the municipal water, oil and gas, automotive and petrochemical industries. By maintaining a high level of standards, APFI fabricated many intricate pipe spools and pressure vessels throughout the industry. In 2006, Allan Pipe Fab Inc. added the design and manufacturing of communication towers. By using the same standards, APFI has provided thousands of towers to customers in the wireless communications, telecommunications, transportation, wind energy and oil industries across North America.